Which area are you going to? Select a country. Whether you’re ‘Flying down to Rio’ or trekking across Patagonia, the 13 countries making up South America offer a dizzying number of amazing things to do, as well as a dizzying number of hotels from which to do them. How to choose the hotel that’s right for you? Eurobookings.com. Let’s start at the top. South America vacations to Colombia can start in the capital city of Bogotá, the third largest city in the Western Hemisphere after New York City and Mexico City. From here, you can visit Medellín, the birthplace of painter Fernando Botero and home to many of his works. Or head to the resort city of Santa Maria on the Caribbean coast, where you can enjoy beautiful beaches one day and a walk to the foothill of a snowy mountain the next. Eurobookings.com boasts plenty of hotel deals in all of these cities. The Venezuelan capital city of Caracas boasts La Casa Natal (birthplace) de Simon Bolivar and the treasures of the Museo de Arte Colonial (and more hotels), and Guyana, French Guiana and Suriname offer endless miles of coastline straddling the Caribbean Sea and the Atlantic Ocean. South America tours from many Venezuela hotels can take you to Angel Falls, the world’s highest waterfall at 979 metres. Our South America travels continue in Ecuador, whose capital city of Quito is so historically relevant and beautiful that in 1978 it became the first city in the world to be named a World Heritage Site by UNESCO. Another UNESCO World Heritage Site, Cuzco is Peru’s most visited city and the starting point for visiting Machu Picchu, the Sacred Valley of the Incas and other Incan sites in the region. There are also many luxury hotels in South America’s only Portuguese-speaking country, Brazil, both in the city of fun, Rio di Janeiro and the city of work, Sao Paolo. Rio hotel rooms in Copacabana Beach and in Ipanema Beach can come with views of the great Jesus statue atop Corcovado. To travel South America’s Atlantic coast right, it’s also a great idea to visit Recife, and to visit the mighty Amazon, Manaus makes a good choice. Eurobookings.com lists hotels in all these places. Landlocked Bolivia makes up for its lack of coastline with endless square kilometres of beautiful parkland, and from Santiago, Chile hotels, South America history comes alive, as the city was founded by conquistador Pedro de Valdivia back on February 12, 1541.Similarly landlocked is Paraguay, whose capital city Asunción offers the rare opportunity to learn the language of the native Guarani, who were living here long before the arrival of the Spanish. 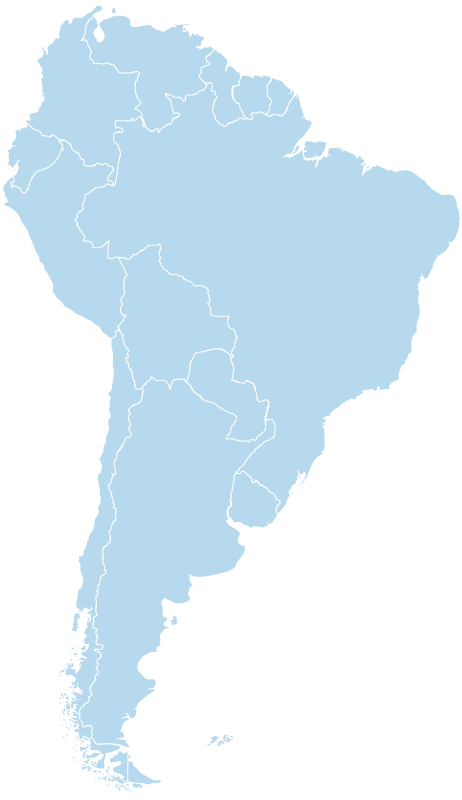 And then there’s Uruguay, often called the Switzerland of South America not for its geographical features but for its stable democracy, a rarity in these parts for the last few centuries. Built mostly in the 1930s, and considered the Paris of South America, Buenos Aires boasts breathtaking beauty and is a wonderful spot for a South America honeymoon, especially if you like to tango! Last but far from least, the southern end of Argentina is home to the desolate spaces and majestic peaks of Patagonia, which for many is the highlight of all their Latin America travels. Once we hit Tierra del Fuego, it’s next stop Antarctica!